There are plenty of statistics in golf, and many of them can do plenty to indicate just how well you are performing on the course. But in the end, there is only one stat that matters for anything – scoring average. It doesn’t matter how pretty some of your other stats might look, if you aren’t happy with your scoring average, you aren’t going to be happy with your game. It is every golfer’s goal to get better over time, and scoring average is the ultimate measure of whether or not you are making progress. Of course, a good scoring average for one golfer might not be so satisfying for another. The leading golfer in terms of scoring average on the PGA Tour so far in 2015 is Jason Day, checking in at 68.19 over 16 rounds. Obviously, Jason Day is one of the very best players in the world, and averaging just a bit over 68 on PGA Tour caliber courses is incredible golf. You aren’t likely to reach those levels anytime soon, but you can still track your scoring average carefully and work to improve it over time. One of the important things to keep in mind here is that you need to keep score accurately each round, and record each round that you play. If you throw out a few rounds from time to time because you didn’t play all that good, your average won’t be a true representation of your game as a whole. Track every single round that you play, and count every shot that you hit. That is the only way to really know how you stand. Using scoring average in conjunction with other statistics from your rounds is a good way to chart a path toward better golf. Once you know what your average score is, you can compare that to your average number of putts per round to see what percentage of your strokes are used on the greens. Also, keep track of penalty shots per round as well – you just might be surprised at how quickly you could lower your scoring average by simply keeping the ball on the course and out of the hazards. Keeping a chart of your scoring average – and seeing that chart move in the right direction as time goes by – is one of the most satisfying feelings you can have as a golfer. Sure it would be fun to improve driving distance or hit more greens per round, but only your score matters in the end. Each round is summed up by just one number, so put all of your golf-related effort into making this statistic look as good as possible. When you have one of the most famous last names in golf, there is no flying under the radar when you make it to the PGA Tour. From the moment Kevin Stadler arrived on the scene, he was bound to draw attention thanks to his last name alone. 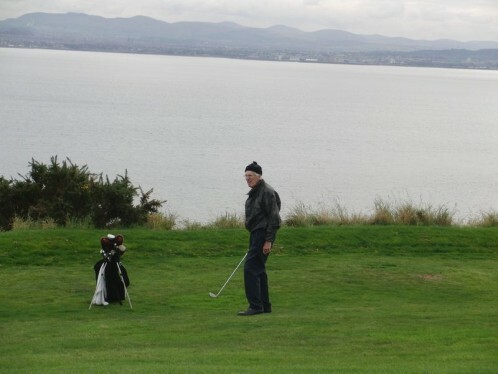 The fact that he swings the club, and looks, much like his dad Craig, only went to further the comparisons. While Craig was a highly successful player in his own right, Kevin would still need to forge his own way and earn his stripes on the Tour. Unlike his dad, who won 13 times on the PGA Tour, including a Masters title, it would take Kevin a full 12 years as a professional before notching his first win at the highest level of the game, why the expectations started early for Kevin Stadler. 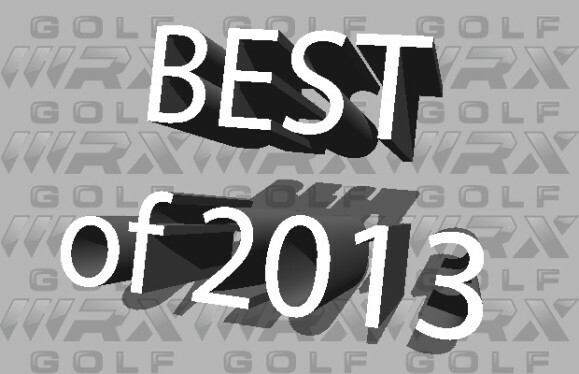 That came during the 2014 Waste Management Open in Scottsdale, Arizona. Prior to that, Stadler had come close to winning when he lost in a playoff to Ryan Moore at the 2009 Wyndham Championship. The bag of Kevin Stadler during the 2014 season looked more like a bag of clubs that you would see on the driving range of your average local course on a Saturday morning. Instead of having one single brand name throughout the bag, Stadler has a variety of club makers represented through his set. He was using a driver from TaylorMade, a Callaway three wood, Ping hybrid, Cleveland irons and wedges, and an Odyssey putter. You would have to look long and hard around the rest of the Tour to find another player with so many different manufacturers represented in a single bag. What lessons can the average amateur player take from the bag of clubs that Stadler has assembled? Well, you should play with what works for you, no matter what name is printed on the back of the club head. Too many players get caught up in playing clubs that they think look good or will give them some kind of status. The only status in golf is getting the ball into the hole as quickly as possible. Obviously Stadler has avoided a traditional club contract in favor of using the gear that he is most comfortable with and gives him the best results. Judging by his recent win in one of the Tour’s most popular events, it seems to be working. Much like his dad, Kevin Stadler isn’t exactly what most people would consider the model of physical fitness. Certainly, in this day and age of modern golf with so many well-conditioned athletes taking to the fairways, Stadler stands out for being different than most. However, he can still move the ball out there is the rest of the players on Tour and doesn’t need to apologize for anything related to his power off the tee. Early in the 2015 season, Stadler has been dealing with a wrist injury and hasn’t been able to play much golf. Looking back at 2014 statistics, Kevin Stadler’s swing speed checked in at 113.67 MPH, which ranked him right in the middle of the pack at 83rd on Tour. That swing speed led to an average driving distance of 291.6 yards, again near the middle of the pack at a 76 rank. Those numbers combined though make him the 24th best overall driver of the golf ball on Tour during 2014. Hopefully Stadler will be able to get over his wrist injury and be back playing on the Tour in the near future. One thing to watch out for in the coming months and years in the impending rules change which will ban anchored putters on the PGA Tour. Stadler has used a long putter throughout his career and will be forced to modify that style to comply with the new rules. Early rumors are that he intends to switch to putting left handed when that new rule goes into effect. Regardless of how he ends up dealing with the change, it will be one of the interesting stories to follow. If he is able to find a way to putt the ball well enough to compliment his solid ball striking, there could be more wins to come down the line for Kevin Stadler. The ability to save par, or even bogey, after getting off track somewhere during a given hole is a skill that can come in handy during each and every round that you play. No golfer hits all of the greens in regulation, so it is imperative that you are able to get up and down from around the green as frequently as possible. Tracking your performance in this part of the game is a helpful way to see what skills you need to work on in order to lower your scores. On the PGA Tour, the scrambling statistic simply measures the percentage of missed greens that a player still records a par or better score. So, if the player missed six greens during a round, and saved par three times, they would be scrambling at a 50% rate. For the best players in the world, like Chad Collins who is saving par at a Tour-best 74.85% clip, this system works fine. For you, however, it might be best to tweak the formula to get a better picture of your chipping and short putting skills. 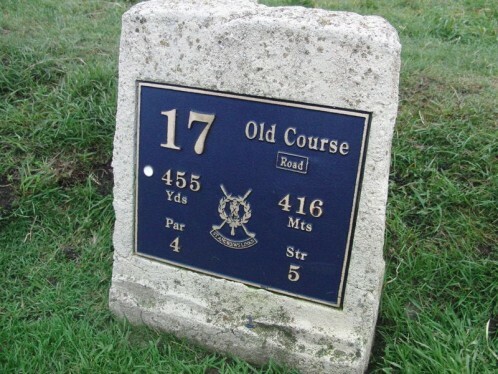 Rather than considering your final score on the hole, which could bring into play things like penalty shots or other mistakes, simply keep track of how frequently you get up and down from around the green (other than bunkers – that is a different stat). When you have the chance to chip or pitch from around the green, note that on your scorecard, as well as whether or not you were successful. Keep a log of this data somewhere, and use it to evaluate your performance as time goes by. It will likely take at least a handful of rounds before you have a good impression of how you are doing in this regard. Shooting for 50% up and down rate is a good place to start, and you can hope to improve from there. One of the most important things you can do to improve your up and down performance actually has nothing to do with your chipping or putting – it deals with your approach shots. By not putting your ball in bad situations around the green, you will quickly improve your percentage without changing anything else about your game. It is okay to miss some greens during a round, but do your best to miss them in the right spots. That means putting the ball below the hole when you can, so that the chip shots you face are uphill instead of downhill. Also, avoiding heavy rough and keeping your ball on the fairway cut will make these shots easier as well. By picking smart target lines and staying away from the real bad spots around the green, you can quickly make your up and down percentage improve. Can You Conquer the Sand? Watching your ball drop into a greenside bunker is never a good feeling, but it isn’t nearly as bad if you are confident in your ability to get up and down the majority of the time. Getting the ball up and in from a bunker combines the skill to hit a good bunker shot, and the nerve to hole out the putt successfully. Tracking sand save percentage is a good way to find out if this is an area of your game that is a strength, or if you need to put in more practice time in the bunker. Instead of setting an arbitrary goal for yourself on this stat –like 50% – try first measuring your current bunker game and then try to improve it by 5% at a time. If you are able to just make small, incremental improvements as you go, you can soon turn your bunker game into a strength. However, if you are able to reach the 50% mark in terms of getting up and down from the sand, you will be doing quite nicely for yourself. If you would like to look to the PGA Tour for inspiration, you can see that many of the Tour players are fare exceeding the 50% mark. In fact, the current leader for the 2015 season is Brendan Todd, who has gotten up and down from the bunker 27 times in 35 tries. That is good for a 77.14%. That means that Todd is not only hitting quality bunker shots regularly, but he is also sinking clutch putts time and again. The key to getting up and down from the bunker is being able to control the amount of spin you put on the ball from the sand. If you hit closer to the ball when playing from the bunker, you should hit a shot that has more spin and stops faster. If you hit farther behind the ball and take more sand, the shot will have very little spin and should roll out on the green. Being able to vary the amount of spin in order to control how far the ball travels in total is a valuable talent to develop. Of course, making your putts helps as well to conquer the sand. To raise your up and down percentage from the sand, find a practice bunker at a course near you and spend some quality time mastering your technique. 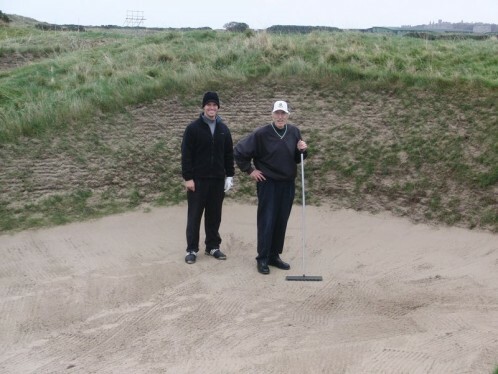 Practice is important all over the golf course, but it is especially important from the bunker. It takes time and experience to master the feel for greenside bunker shots, and to be able to execute them when you are feeling the pressure. Put in your time in the practice bunker, and suddenly the bunkers on the course won’t look nearly as intimidating. 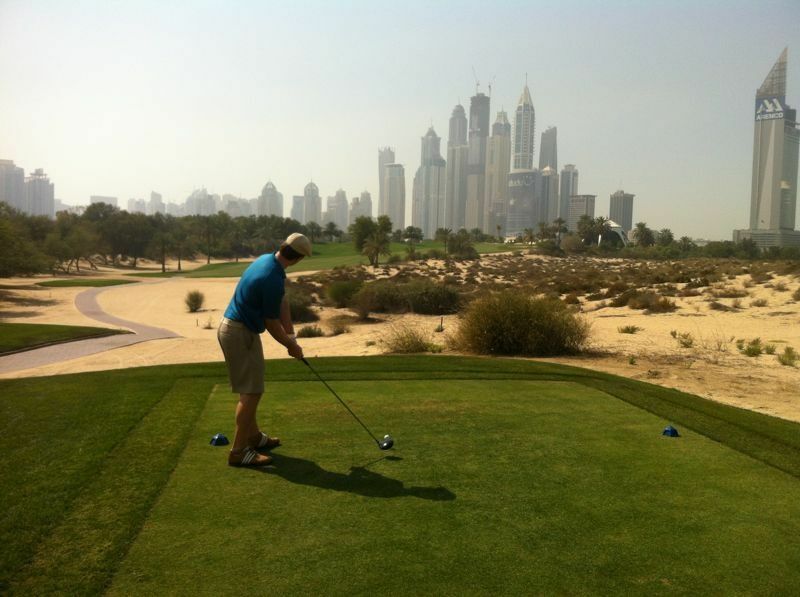 Recently Jaacob Bowden got back from a 6-day golf trip to Dubai where he was at Dubai Creek Golf & Yacht Club, Emirates Golf Club, and Jumeirah Golf Estates. If you’d like to see 39 of the pictures from the trip, click here. 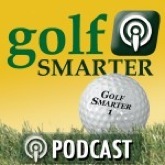 If you haven’t listened already, be sure to visit Golf Smarter Podcasts. Fred invited me back to be on the show again and this time we talked about swing speed training and the Mike Austin swing. 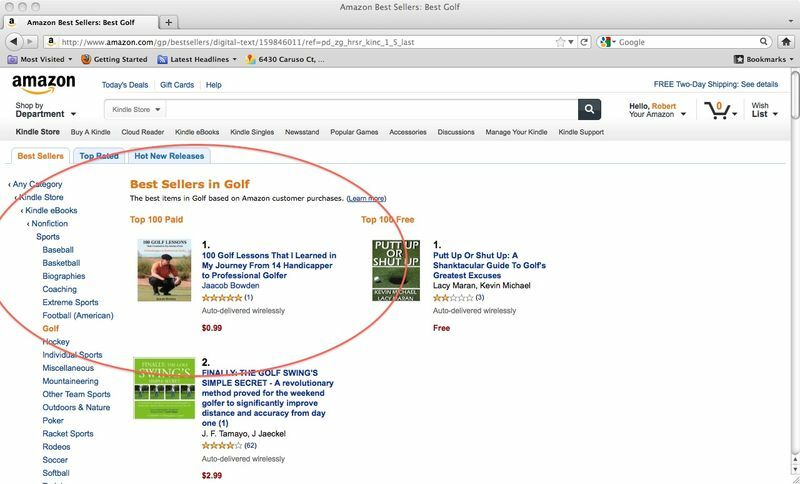 Jaacob Bowden’s e-book “100 Golf Lessons That I Learned in My Journey From 14-Handicapper to Professional Golfer” has just hit #1 on Amazon.com’s Best Seller in Golf list. Click here to check it out here. 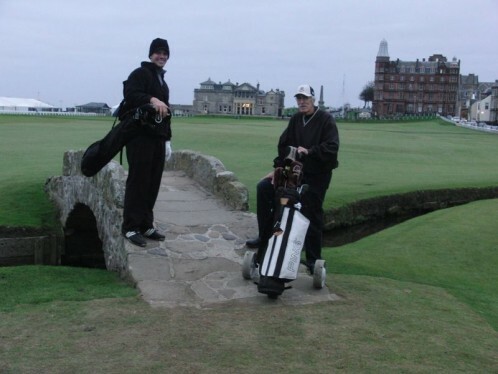 Several days ago Jaacob Bowden’s Dad made his first trip outside of North America…and what better place to meet than in Scotland where they got a chance to play the Old Course in St. Andrews and numerous other courses. It was a true pleasure to play true links golf like at the Old Course. Once Jaacob got a feel for the bump and run type of shots needed, he managed to shoot under par on the back nine. Here’s a few photos from Scotland.